I think there are some unresolved issues about what Second Life is. Interestingly, many gamers (such as Tim who commented earlier) find that SL does not match their vision of WoW… they find the controls and interface relatively easy to learn and yet when they start interacting the world offers them very little – they seem to have the locus of control posited externally – they need to be driven by some external pressures. On the other hand, there are people who find that games are not to their taste, but after an arduous learning curve (and frequent jibes by old time SL users who have a total of 3 weeks existence inworld) they find that SL offers them something different. 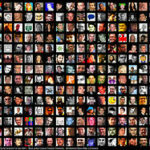 Social and networking opportunites that supplement nicely with their real life activities. Not everyone is glued to the screen as implied by some comments. Educators and business people are part of the community of SL, as are thrill seekers and escapists. The strength of the world in my opinion is the diversity of culture that emerges – the model adopted by Linden Lab is one that accommodates difference. It’s easy to poke fun at early adopters of any new technology. 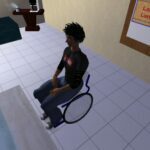 And Second Life is not the only MUVE that exists – we hear little mention of ActiveWorlds, There.com, Entropia Universe, or the emerging open-source Metaverse. The scope of the discussion is fascinating, although I often suspect that the journalists who drop in for 5 minutes and pass judgement really do miss the point. Like many undertakings, unless you invest something of yourself in the endeavour – time, money, identity, trust, etc – there is often very little in the way of meaningful reward. I do wish that people reviewing spaces in Second Life would take the time to talk with the managers of those spaces to get a clearer idea of what’s really going on. Most of the work I’ve seen from Australian universities inworld is about learning and research – marketing generally haven’t jumped on the band band wagon as yet often single representatives of universities doing their own work for their own students not creating a playground or billboard for the SL population. The example of drawing school leavers to these sites is not well thought through as most are only 17 and cannot legally access SL. And it appears you haven’t approached the Teen Grid where they might be. Some interesting observations as I said but fraught with issues about validity and reliability. In response to an article by Jenny Diski at the London Review of Books and her blog. Umm.. where does one start with such piously presented ignorance? Your article may well serve your interests somehow – but it does little to paint a complete picture of what transpires within Second Life – a 3D persistent virtual world or MUVE – Multi User Virtual Environment. I was hoping I might hear something about the various educational projects that are underway within the environment – or perhaps some of the interesting social research that is happening, or even some of role-playing games that occur, the business undertakings, the programming developments that allow experimentation with virtual eco-systems, the various performances or art exhibits that occur… Did you visit EduIsland, or EduNation or perhaps one of the more literary locales? Did you take time to investigate the projects looking at accessibility issues for visually impaired users? Did you look into the development of teaching and learning tools? Did you seek out islands that are drawing on non-realistic, non-literal metaphors? What of the libraries, the university campuses, the schools? Perhaps the locations run by Harvard, Stanford, NYU, Arcada (Finland), or even the egalitarian Open University from the UK? .. I find no mention of any of these exciting and engaging projects – rather you seem to have deliberately sought out the most mundane of activities that are possible within the environment. Did you talk to anyone working on the Diversity 2007 project? Or perhaps drop by the Transgendered Resource Centre? Or maybe you spent some time with Social Autopoiesis, one of the first fully-formed interactive NPC avatars in Second Life? Did you go to the building tutorials at the Ivory Tower of Prims to learn how to shape the world to create your own wondrous possibilities – or did you simply drop in like a tourist with little regard for local culture and heritage? Did you arrive in a world that draws on social constructivism and expect to be entertained without any investment of your own? When you visit a new city do you immediately head for the red-light district? Perhaps this is a flawed approach to tourism that you have adopted, perhaps it might be better to visit some museums or art galleries before you go off seeking more base pleasures? Perhaps your predilections were not catered for? Your review is ill-informed and presents a misguided, partial and misleading representation of activities within the Second Life environment. I am happy to take you to some of the places you might find more edifying but I suspect your grandiose and supercilious attitude finds greater comfort in condescension than it does in open-minded exploration. Look me up in world as Kim Pasternak.